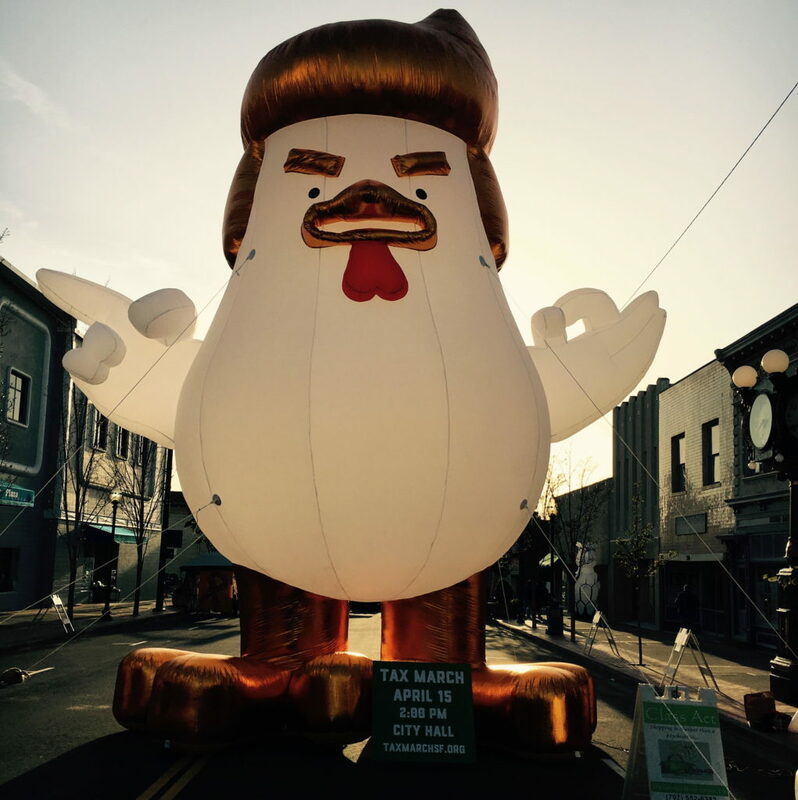 We needed a mascot for our march over Trump’s taxes. This rooster commissioned by a Chinese real estate company was perfect. Copyright © 2019 Danelle Morton.